It can be a rude awakening when you receive your first paycheck and it doesn’t equal what you though you had earned because of tax withholding and other deductions. The FICA tax withholding can be particularly confusing because some employers label them with the acronyms OASDI or HI, and they generally won’t appear on your federal income tax return. Understanding what the FICA tax deductions from your paycheck are and how they are calculated helps you budget for how much of your paycheck you’ll take home, as well as how much you’ll get back when you file your tax return. FICA tax deductions from your paycheck refer to the Social Security tax and the Medicare tax. These taxes are generally not deductible on your federal income tax return. FICA stands for Federal Insurance Contributions Act and is composed of two sub-taxes: the Social Security tax and the Medicare tax. The Social Security tax is sometimes called Old Age, Survivors, and Disability Insurance and abbreviated OASDI on your paystub. This tax goes to pay for Social Security benefits for the elderly, surviving spouses and disabled individuals. The Medicare tax is also known as Hospital Insurance, and is sometimes abbreviated HI on your paystub. FICA taxes apply to your earned income, including wages, salaries, bonuses and fringe benefits, such as a housing or car allowance, trips or discounts on services. A few fringe benefits, however, escape FICA taxes. Technically, self-employment income is subject to the self-employment tax, rather than the FICA tax, but it functions essentially the same way. First, you won’t have to pay FICA taxes on employer-paid health insurance benefits. This only applies to health insurance that your employer pays for you, not health insurance costs that are deducted straight from your paycheck. Second, any contributions your employer makes to a qualified retirement account, such as a 401(k) plan, on your behalf, aren't subject to FICA taxes. For example, if you contribute $3,000 to your 401(k) and your employer matches it with an additional $3,000, you won’t pay income taxes on either contribution and you’ll only owe FICA taxes on the $3,000 that you contributed. But, the $3,000 that your employer puts in for you won’t be taxed. In addition, the tax code contains an exemption for income you earn when you’re working for the school that you attend for classes. As long as your primary relationship with the educational institution is as a student, your earnings won’t be hit with FICA taxes. For example, say you’re enrolled full-time at a university and you work in the dining hall 15 hours per week. When you receive your paycheck, you won’t see any FICA tax withholding. On the other hand, if you worked 15 hours as a server at a restaurant in town, you would have FICA taxes taken out of your paycheck because your primary relationship with the restaurant isn’t as a student. Unearned income isn’t subject to FICA taxes, so you don’t have to worry about paying these taxes on money you make from interest, dividends or capital gains. For example, if you receive $1,000 in interest on your savings account during the year, you still have to report that income on your tax return, but you won’t pay FICA taxes on it. The Social Security tax rate is 12.4 percent, split evenly at 6.2 percent each for the employer and the employee. For example, say your weekly paycheck is $900. You will see $55.80 withheld for the Social Security tax portion of FICA taxes and your employer will also pay an additional $55.80 in Social Security taxes on your behalf. However, the Social Security tax only applies to a certain dollar amount of earned income each year, known as the contribution and benefit base. This amount is indexed for inflation, so it typically increases each year. For example, the contribution and benefit base was $127,200 in 2017 and increased to $128,400 in 2018. Any earned income in excess of the contribution and benefit base is exempt from Social Security taxes. For example, say your salary for 2018 is $142,000. After you reach $128,400 in earned income, your employer will stop withholding Social Security taxes from your paychecks so the last $13,600 of your paychecks for the year won’t have any Social Security taxes withheld. The contribution and benefit base applies to all of your earned income throughout the year, not just your income from each employer you work for. But, if you work for multiple employers, each employer won’t know when to stop withholding Social Security taxes because they don’t know how much you make at other jobs – and they’re not allowed to take your word for what you’re making. Instead, if working multiple jobs bumps your earned income for the year over the contribution and benefit base, and you have too much Social Security tax withheld, you can claim the excess withholding as a tax credit when you file your return so you get the money back. For example, say you earn a $121,000 salary at your main job and you also have a part-time job that pays you $33,400. Because neither job pays you enough on its own to exceed the contribution and benefit base, you’ll have 6.2 percent taken out of all your paychecks for a total of $9,572.80 But, the maximum Social Security that you owe as an employee is only $7,960.80. So, when you file your tax return, the extra $1,612 will be credited to you, either boosting your tax refund or reducing what you have to pay. The Medicare tax portion of FICA taxes is different than the Social Security tax because it applies to all of your earned income, regardless of how much you make. But, the Medicare tax is much lower than the Social Security tax at just 2.9 percent, or 1.45 percent for the employee and 1.45 percent for the employer. For example, if you receive a $900 weekly paycheck, you’ll see $13.05 withheld for Medicare taxes and your employer will also pay $13.05 on your behalf for Medicare taxes. If you have substantial earned income for the year, you could find that some of your income is also subject to the additional Medicare tax, which is an additional 0.9 percent tax paid by the employee. The threshold for this tax depends on your tax filing status. As of 2018, the additional Medicare tax applies to all earned income over $250,000 for couples filing jointly, all earned income over $125,000 if you’re married filing separately and all earned income over $200,000 if you’re single or head of household. When it comes to your employer withholding the tax, however, the threshold is the same for all filing statuses: $200,000. For example, if your salary is $214,000, your employer will automatically withhold the additional Medicare tax on the last $14,000 of your paychecks, regardless of which filing status you plan to use. This can lead to overwithholding or underwithholding if you’re married. For example, if you’re married and file a joint return, and your spouse doesn’t have any earned income, your $214,000 of earned income falls below the $250,000 threshold for earned income subject to the additional Medicare tax. So, you’ll be credited for having an extra $126 withheld from your paychecks when you file your tax return. But, if your spouse also works and brings in an additional $100,000 salary, your combined earned income for the year totals $314,000. That means that $64,000 of your combined income is subject to the additional Medicare tax, generating a tax bill of $576. Your spouse won’t have any money withheld for the additional Medicare tax because your spouse’s income doesn’t exceed the $200,000 withholding threshold. As a result, you’ll have to pay the additional $450 in Additional Medicare Taxes when you file your joint tax return. However, if you’re married and file separately, your earned income of $214,000 is well over the threshold of $125,000 for the additional Medicare tax to kick in. In fact, you’ll owe 0.9 percent on $89,000 for the additional Medicare tax, or $801. When you file your taxes, you’ll get credit for the $126 your employer withheld from your paychecks for the additional Medicare tax, but you’ll have to pay the $675 difference between the $801 that you owe and the $126 that was actually withheld. FICA taxes aren’t deductible on your income tax return. However, the employer portion of the FICA taxes are paid with pre-tax dollars and that amount doesn’t increase your taxable income. For example, if your salary is $50,000 per year, you will have $3,825 withheld from your paycheck for FICA taxes. In addition, your employer will also pay $3,825 in FICA taxes on your behalf. But, on your income taxes, you only have to pay income taxes on $50,000 of income, not the $53,825 that your employer paid to you in salary and additional tax withholding. If you are self-employed and pay self-employment taxes, you do get an income tax deduction for the employer portion of the self-employment tax to make it fair. The deduction is an adjustment to income, which means that you can claim the tax write-off even if you don’t itemize your deductions. For example, if you have paid $7,000 in self-employment taxes, you can claim an income tax deduction of $3,500 as an above-the-line deduction. The federal tax code does allow you to deduct some taxes from your federal taxable income, just not FICA taxes. Deductible taxes include foreign, state and local income taxes, state and local sales taxes, state and local property taxes, and foreign, state and local real estate taxes. To qualify, the tax must be imposed on you and paid by you during the year. However, there are several limitations. First, you can deduct either your state and local income taxes or your state and local sales taxes, but not both. Second, you’re limited to deducting no more than $10,000 in state and local taxes of any type. For example, if you deduct $9,000 in state income taxes, you can only deduct $1,000 of state and local real estate or property taxes. In addition, you can only claim these taxes as income tax write-offs if you itemize your deductions. When you itemize, you have to give up the standard deduction, which could be worth a lot more depending on your filing status. For 2018, the standard deduction is $24,000 if you’re married filing jointly, $18,000 if you’re filing as head of household or $12,000 if you’re married filing separately. 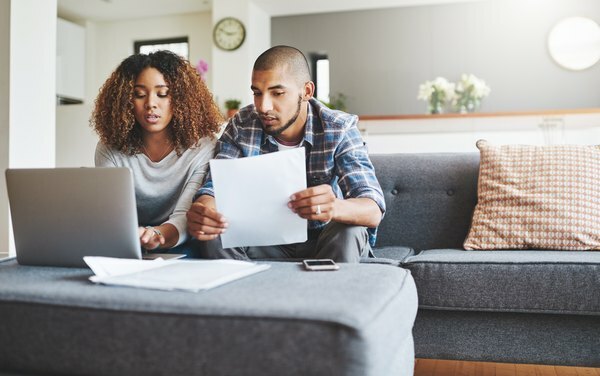 You don’t need your deductible taxes alone to exceed the amount of your standard deduction because when you itemize, you also get to write off other expenses, such as charitable contributions and mortgage interest, but you should make sure the total of your itemized deductions exceeds your standard deduction.